Infrastructure projects need the concurrence of residents to be successful in collecting tolls to recover capital for investors, which will lead to more investment, construction experts have said. Engineer Phan Phung Sanh, vice chairman of the Ho Chi Minh City Construction Association, in order for people to support infrastructure projects, the Government needs to publicize them and make people understand their importance. The lesson was drawn from the construction of Ong Thin Bridge linking the city and southern province of Long An over ten years ago. 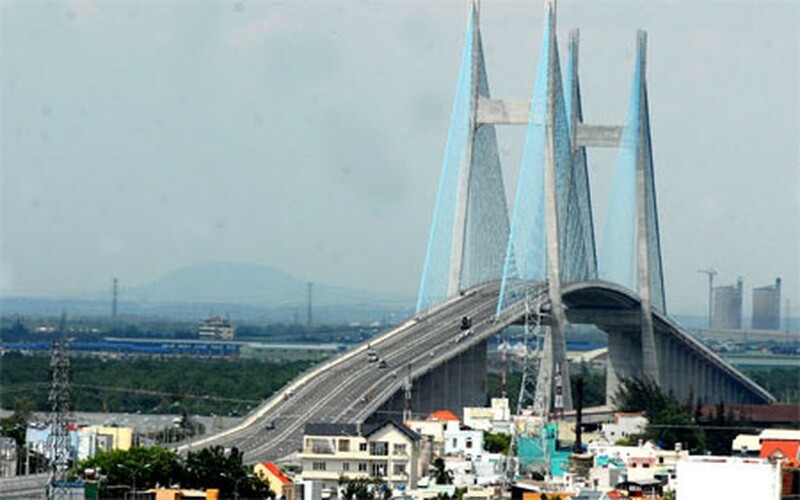 The bridge, which is 289 meters long and 17.5 meters wide, was constructed at the cost of VND32 billion under the build-operate-transfer (BOT) form. According to the plan approved by the city authorities, the cost of the project would be recovered by collecting tolls from all passing vehicles, including motorbikes and automobiles. However, when the bridge became operational, the city did not allow the investor to impose tolls on motorbikes, saying that people did not agree to them because collecting tolls on motorbikes would cause traffic jams. The situation has created difficulty for the investor, as over 60 percent of vehicles that pass over the bridge are motorbikes. The 2.4-kilometer Phu My Bridge, the longest yet to cross the Saigon River, faces a similar situation. Nguyen Thanh Thai, general director of the bridge’s investor Phu My Bridge BOT Joint Stock Company, said his company is allowed to levy tolls on motorbikes as of 2012, two years after the bridge opened to all vehicles. Though the city’s relevant agencies said that the investor has the right to collect the tolls, Mr. Thai is still worried, as public opinion already objects to the tolls. Talking with the press on the sidelines of the National Assembly session in May, Transport Minister Ho Nghia Dung noted that Vietnamese laws do not stipulate whether or not tolls can be collected from motorbike drivers. He said that under the Ministry of Finance’s regulations, BOT investors could collect tolls 1.5 to 2 times higher than those collected by the State, in order to retrieve their capital within a reasonable timeframe. The BOT investor of Phu My Bridge recently complained that current tolls collected from cars are not enough to pay its loans and asked the city authorities’ permission to collect tolls from motorbikes. The minister argued that people should sympathize with the investor. Bui Xuan Cuong, deputy director of the HCMC Transport Department, said his department has considered some measures to help investors retrieve their capital, such as allowing advertisements and construction of trade centers along infrastructure facilities. Engineer Sanh said the toll collection should only be applied to new roads and that funds for upgrading old roads should come from the State budget.